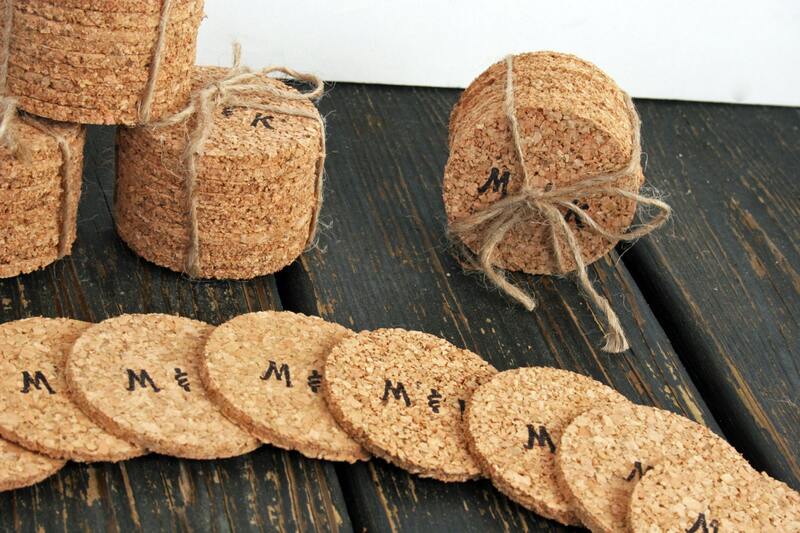 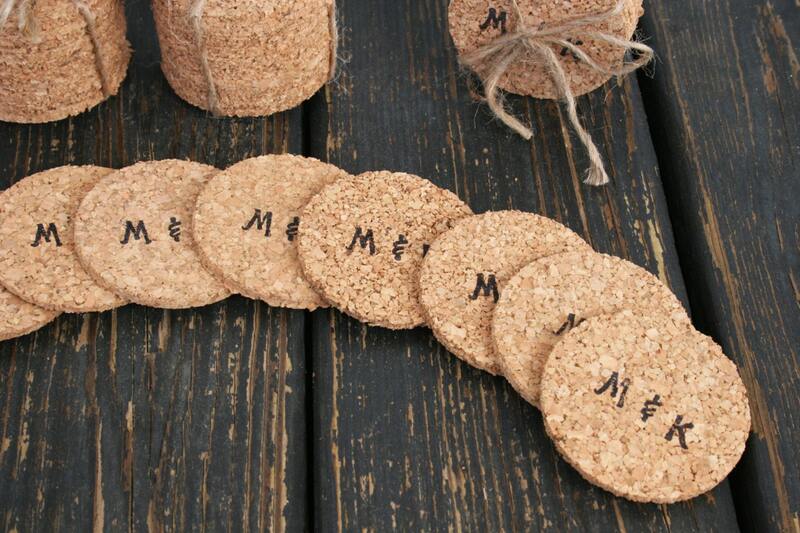 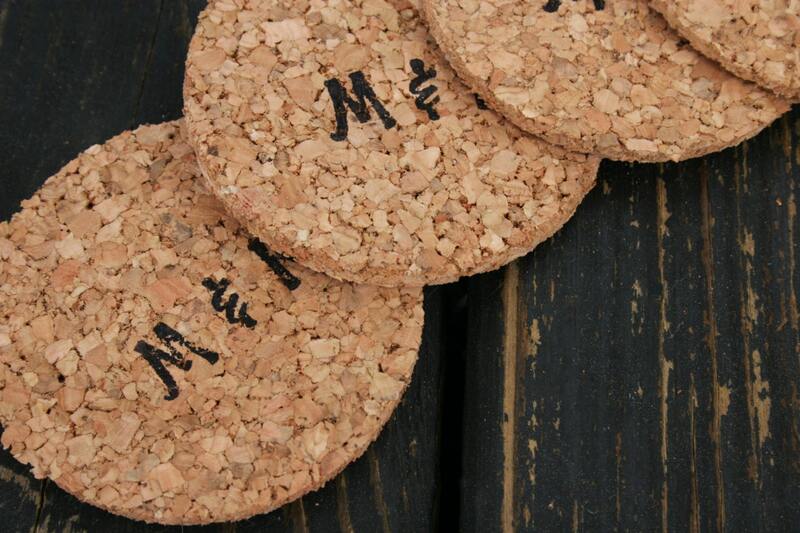 Personalized cork coasters are the perfect touch for your wedding reception, anniversary party, or engagement party. 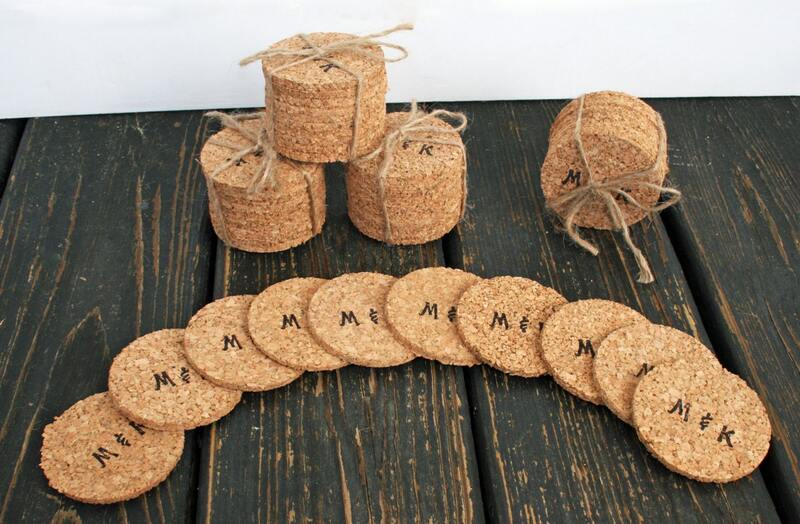 Simple and elegant, each coaster is hand cut and stamped with initials. 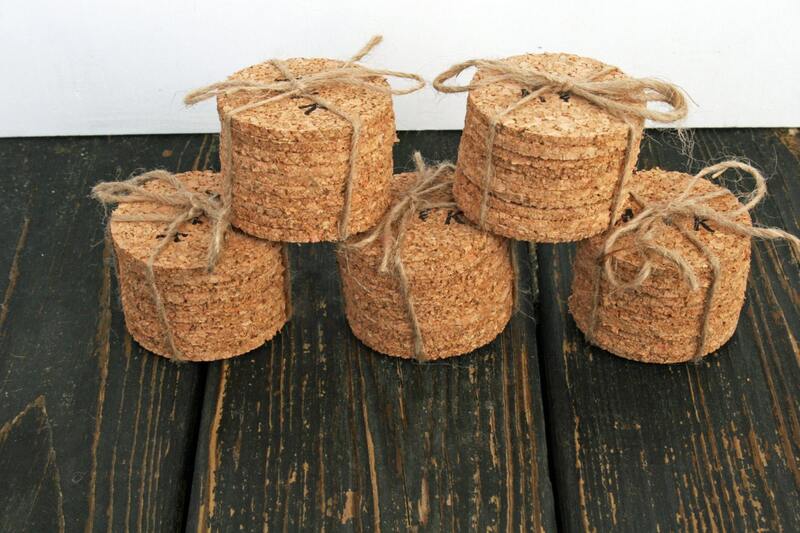 Measuring 3 inches in diameter.